We offer free shipping (for selected solar products only) to the following location: Alor Setar, Bandar Sri Damansara, Banting, Batu Pahat, Bentong, Bintulu, Butterworth, Ipoh, Jalan Ipoh, Johor Bharu, Kajang, Kemaman, Klang, Kluang, Kota Bharu, Kuala Kangsar, Kuala Lumpur, Kuala Terengganu, Kuantan, Kuching, Labuan, Lahad Datu, Melaka, Mentakab, Miri, Muar, Nilai, Penang, Port Klang, Rawang, Sandakan, Segamat, Seremban, Sibu, Sitiawan, Sungai Petani, Taiping, Tapah, Tawau, Teluk Intan, Temerloh and many more locations. For other domestic locations not listed, please kindly fill in the order form in this page. How to I make Order? It is very easy to make order at Solar Light Mart, you just need to follow these simple steps. Browse our website and choose the items you like by clicking the "Free Free Shipping" button. After that, you can checkout by filling your information in a simple form below. After receiving your order form, we will send a quotation to you within half business day. Once you have received our quotation, you can now make secure payment. We offer different Payment Method for you to choose from. After your payment has been received, your items will be delivered by our courier partners. 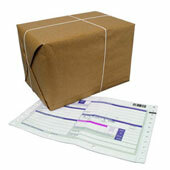 The items should arrive within 1-3 business days depends on your location. Any instruction, question or information.